December 22, 2010. Uncategorized. Leave a comment. 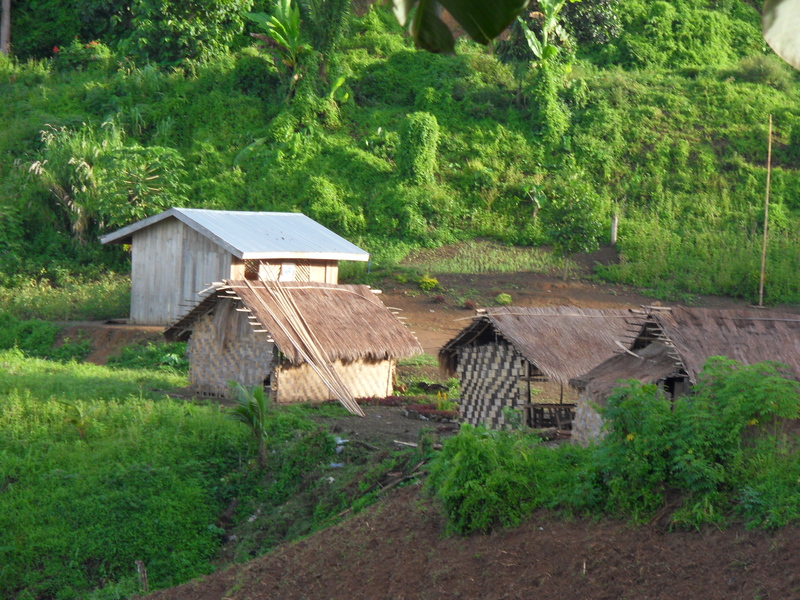 Those are the classrooms in Biao, an Indigenous People (Manobo) village on top of the mountain. Despite their rooms looks empty, it has a great value on everyone because it was built by the effort of community themselves. The teachers said, “We really need at least a visual aid that the students can see the picture of what we are talking about, like animals and things describe in an alphabet.” Even their classroom is lacking of so many things, still the students learned and very enthusiastic to learn more. 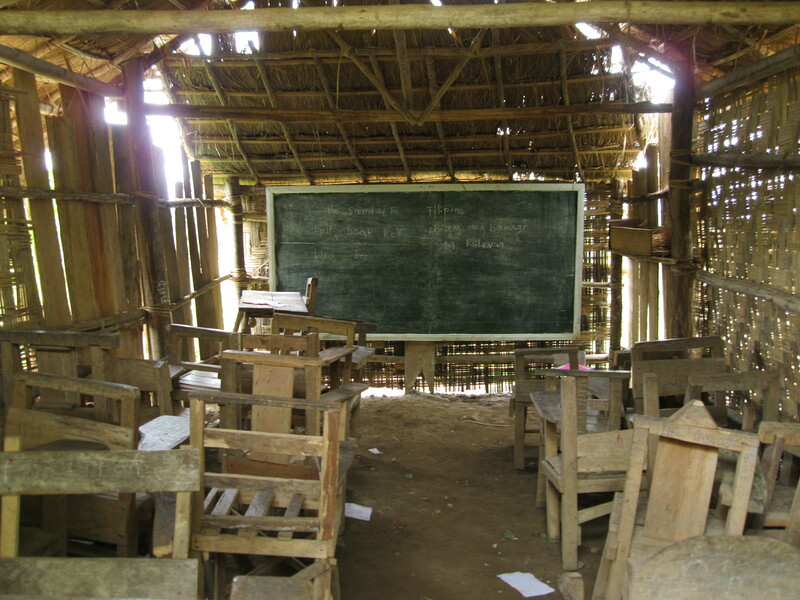 But how can their classroom be an entrance into the world? If even a simple educational materials wasn’t available. So far the local government and department of education only approved the Day care (Kinder) in Biao. It was last school year the old students already proceeded to primary level but the government’s department of education doesn’t yet formally approve the primary school in Biao. 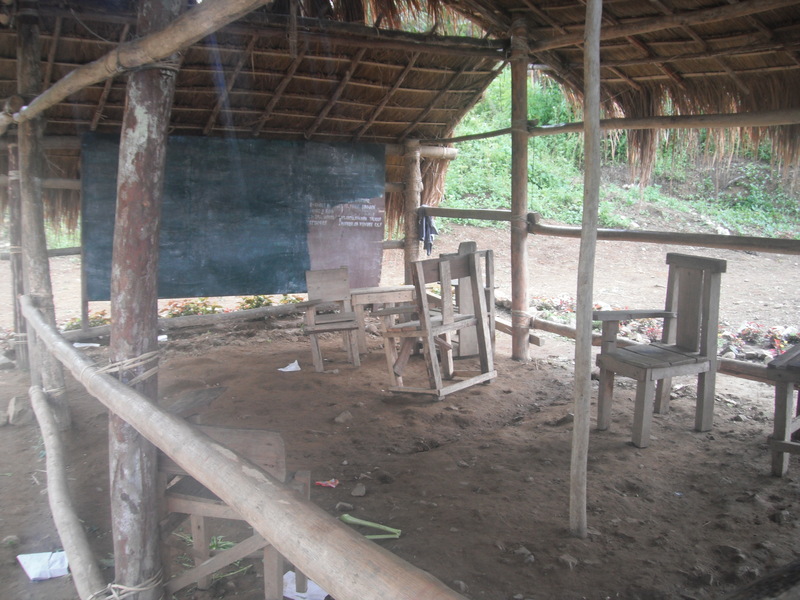 So the village still waiting to the government approval and hoping that it will also provide classrooms and teachers in Biao. Certainly, it is the government responsibility to do so, the holder of the master key to open the door and give a chance the Biao students explore the world. December 16, 2010. Uncategorized. 13 comments. A seventeen kilometer walk going down from Biao and a two and half hour car ride to General Santos. The eleven students from Biao with their volunteer teacher attended a children’s congress in General Santos City last October that was sponsored by PASALI Children’s Desk. It was their first time to ride a car, meet the city, the park, the mall, and other children in different ethnicity. On the first day, PASALI Children’s Desk (CD), Renato and Cocoy tour them to small zoo and a mall. The students had funny experienced on escalator because it was their first time. The children were so afraid that they might fall or be crushed on escalator. As cocoy says “the people at mall were looking on us because we’re little bit loud and walking hand in hand. 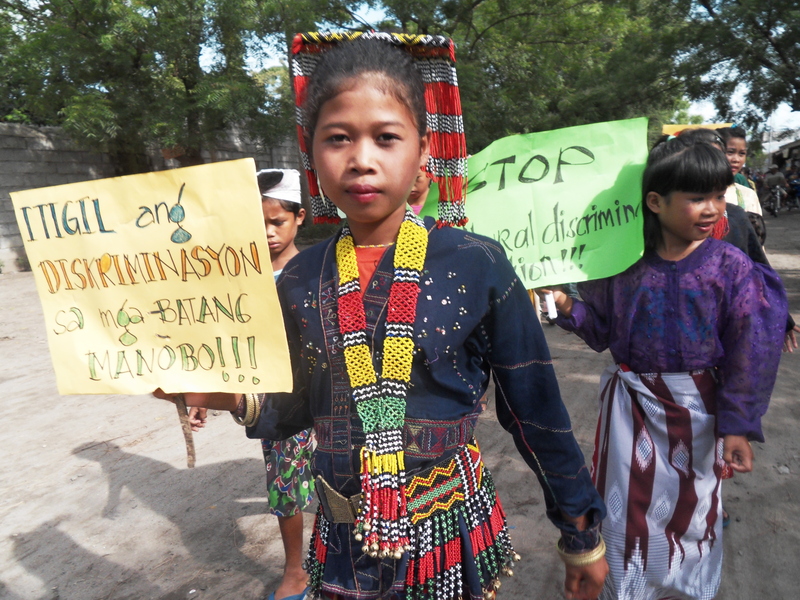 The next day, they joined the parade, in barangay Fatima celebration of national children’s month. 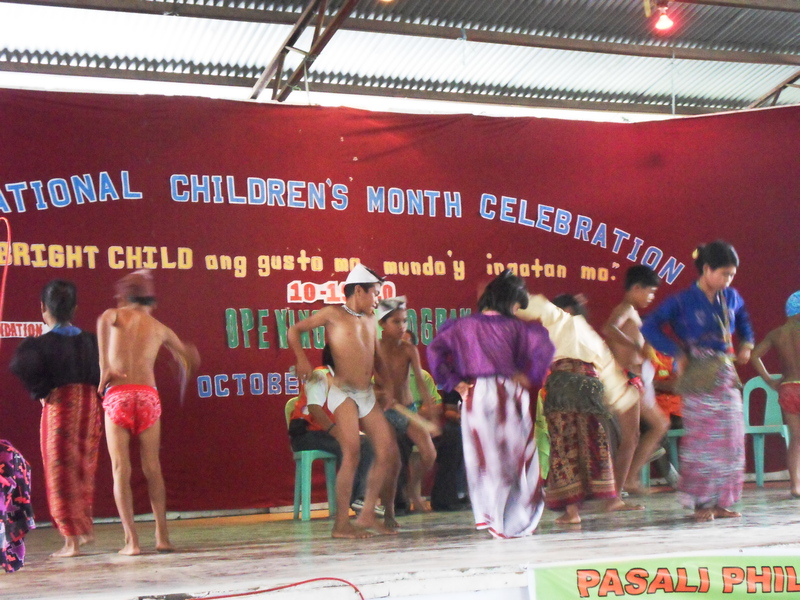 They did a Manobo dance on stage, with their Manobo costumes and accessories. They were just sitting, observing other ethnic group presenting their cultural dances too, but when the program end and go back to place were they stayed, the children had nonstop storytelling on what they saw and experienced on the program. In the afternoon, the two days children’s convention begins. They were quiet and shy at first but later on they participated on the activities and answered when asked. It was a surprised that the children did well in workshop and theatrical presentation because it was their first time to participate in this kind of activity, they were very enthusiastic and had the courage to participate. The students in Biao brought home what they heard and saw and experience that they could share to their family and classmates. In which experiences that they can keep as first time. December 8, 2010. Uncategorized. Leave a comment.